Do you recall the story of Eugène-Richard Gasana? He was one of General Paul Kagame’s favorite diplomats. Gasana was Rwanda’s Permanent Representative to the United Nations. In August 2016, Kagame recalled Gasana to Rwanda. Gasana instead went into exile. 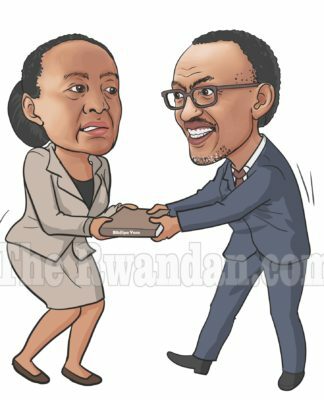 The breakup of Kagame and Gasana was surprising. Gasana was a close confidant who looked after Kagame’s interests including looking after Kagame children living in the US. ”The Law Firm of Wildes & Weinberg, P.C. and its Managing Partner Michael J. Wildes represent Mr. Eugene Gasana, the former Ambassador to the Republic of Rwanda to the United Nations and Minister of State in charge of International Cooperation, in connection with his U.S. immigration matters. Mr. Michael Wildes is working on the former Ambassador’s behalf to achieve a permanent. status in the United States. Wildes stated: “I feel privileged to represent such a distinguished gentleman as Mr. Gasana and his accompanying family in their quest to remain in the United States, he is an asset to our nation”. Gasana was all but forgotten until mentioned by Uganda’s President Museveni, as one the three Rwandan exiles who recently met him. Museveni mentioned Gasana in his letter to Kagame in which the Ugandan President reassured his Rwandan counterpart that he does not allow anybody to engage in anti-Rwanda activities on the Ugandan soil. Gasana’s resurfacing reminds us that Kagame keeps exiling more and more Rwandans — there is no end to it. Rwanda is a revolving door. As a result, Kagame is the only one left standing among the original leaders and supporters who put him in power. Previous articleFLN advises all citizens to remain calm and avoid night movements especially in the militarised zones.